Individuals in North Carolina with estate plans that include special needs planning might need to revise them soon. North Carolina Senate Bill 676, which has passed the Senate and is currently in the House Rules Committee, sets forth changes to healthcare coverage for autistic patients. As of this writing, the bill proposes that certain healthcare plans offer autism treatment coverage with a cap of $40,000 annually on autism behavior benefits. Treatments have been shown to help improve learning, behaviors, and functions of individuals with autism. Most families and caregivers of an individual with autism have flexibility over treatment options under current law. Some opponents of the proposed law fear it could infringe on options and instead mandate some therapeutic treatments before allowing the individual to implement a physician-recommended treatment. Conflicting definitions of autism prompt delays for reforms not only in North Carolina, but nationwide. North Carolina currently defines autism as a mental illness, which makes the condition eligible for certain medical coverage. If the reform passes, autism will be excluded from this eligibility – but only for insurance purposes. Special needs plans, whether for an adult or a child, should be reviewed regularly to help address legislation changes. If the laws change as discussed above, individuals with special needs will need to reevaluate anticipated healthcare costs, explore eligibility for other benefit programs, and review how care treatment coverages will change for the unique care they require. Families who provide care for individuals with mental or physical disabilities have unique concerns when it comes to estate planning and providing for the long-term needs of disabled persons. 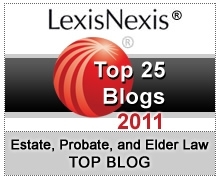 Learn more about Special Needs Trusts and discuss effective planning options with an attorney.